Margaret is fragile. Zachary is tough. Both are lonely. Will a dance in a redwood lumber town bring them together - or drive them apart forever? Discover the continuing story of the cook from Bleeding Heart in this short but sweet retelling of Cinderella. Get both of these short stories in one $.99 ebook! And now for those reviews! The first is for a lighter Peter-Pan story, the second is for a darker Cinderella novella. This story is for all those fans of YA romance who ever had a crush on Peter Pan (especially the Disney version!). While Peter is portrayed as a lot more mature than one would expect of such a boy, his adorable gentlemanliness won me over, overall. Originally published in six episodes, this full story flows well, with lots of fun twists, dimension/world-hopping, and fairies! 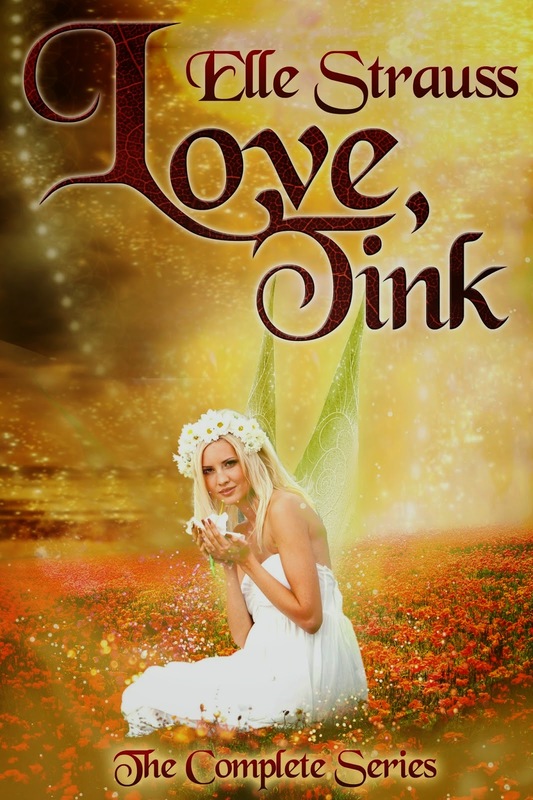 Perhaps a little young for some readers (especially initially), Love, Tink grew on me with its imaginative plot. With a little suspension of disbelief and some pixie dust, you too can enjoy this sweet take on Tinkerbell, Peter Pan, and Neverland. 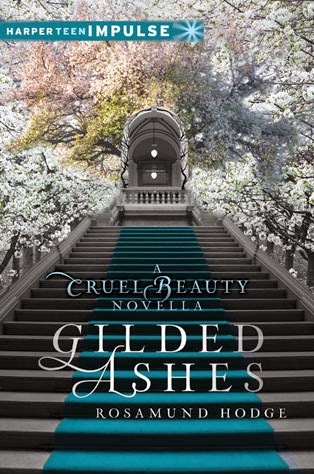 Gilded Ashes is a fascinating and creepy retelling of Cinderella. With a unique twist, this version of the story focuses on mother-daughter relationships - showing how selfish "love" and shadowy compromises can lead to some very scary outcomes. Featuring a ghost, demons, and some gruesome/frightening scenes, this dark fairy tale might not be for everyone. But for those who love retellings with depth, I was impressed by how this story was crafted, the way it warns while also giving the faintest hint of warmth in its surprisingly sweet romance and its emphasis on the freedom of truthfulness. You don't have to be a fan of football to get a kick out of this story of weather-girl-meets-former-football-star! (Note the word "former.") I appreciate that The Weather Girl is accessible to those of us with little knowledge about the sport, and, indeed, it's more about finding hope when single-minded ambitions are unexpectedly crushed and reconciling your dreams with your responsibilities/other desires. I'd venture to say that this book is a gem for those in the NA (new adult) crowd as well as the adults, as it deals with issues I could very much relate to. While there was a tad bit of subtle head-hopping on occasion (seeing the story through multiple characters' views in one scene without breaks), a little (mild) swearing, and a good deal of introspection, this was a very fun and engaging read. There's some suspense, although the main focus is on the developing romance. I loved Summer's nervous habit, and how Travis reacts to it! And in the background, Summer's grandparents provide the sunshine and her coworkers provide the rain (though not exclusively). The balance of family/work scenes with the blossoming romance scenes is great. 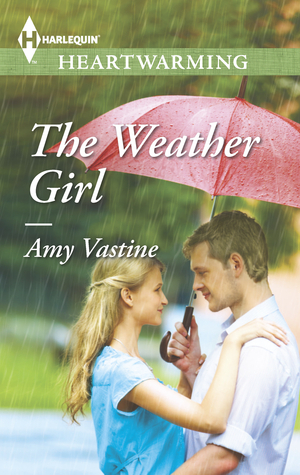 With clever characterization, relevant conflicts, and an ending that is adorable and absolutely perfect for the story, The Weather Girl is a sunny read for a rainy day. Harlequin Heartwarming at its finest! I would have to say my favorite season is the one we are in right now - SPRING! Now, you might think Summer would favor her namesake, but I think she would love spring like me. Especially in Texas because March-May is tornado season in the south. She would love it for the volatility of the weather, of course! Moving on... Do you find spring weather rejuvenating, or more something to endure? Amy: I love spring and the way the world comes to life after the long, cold winter here in Chicago. I love seeing the trees turn green and the flowers blooming, so I can deal with the rain here and there. All three of my kids were born in May, so it really does symbolize new life for me! Amber: Aww, that's awesome! Which season do you find the most romantic? Would your book's hero agree? What advice would you give to someone who feels "stuck" in a less hopeful season of a career they love, like Summer's situation? Amy: Summer loves everything about the weather, but sort of settled for a career that kept her close to family rather than one that let her really follow her dreams. I think Summer's grandparents gave her the best advice - sometimes you just have to go after the things you want and trust that everything will work out. You gain nothing and potentially lose what you want the most if you don't at least give your dreams a try. I have to say that advice worked for me. I never imagined being a published author and I still wouldn't be if I hadn't taken the risk and enter a contest that got Harlequin's attention! You never know what can happen if you put yourself out there - go for it! Amber: Great thoughts! So what's next in this season of your writing/publishing career? Amy: I have so many exciting things coming up. I am in the middle of the editing process for my second book with Harlequin Heartwarming (the first of three in a new series). It's titled THE BETTER MAN and I cannot wait to get it out there and in the hands of all our awesome Heartwarming readers. After I finish all three of these books, there's no telling what's in store for me. I have so many ideas swirling in my head, the sky's the limit! Conclusion of the Love's Promises Blog Tour! Today is the "official" conclusion of the Love's Promises blog tour, but there are still three fun posts to visit today, and you still have one week left to enter the giveaway! And have you heard? The book is now available in gorgeous paperback (designed and formatted by Stone Lily Design)! Be sure to check out the "flip to back" feature on Amazon to see the lovely back cover. 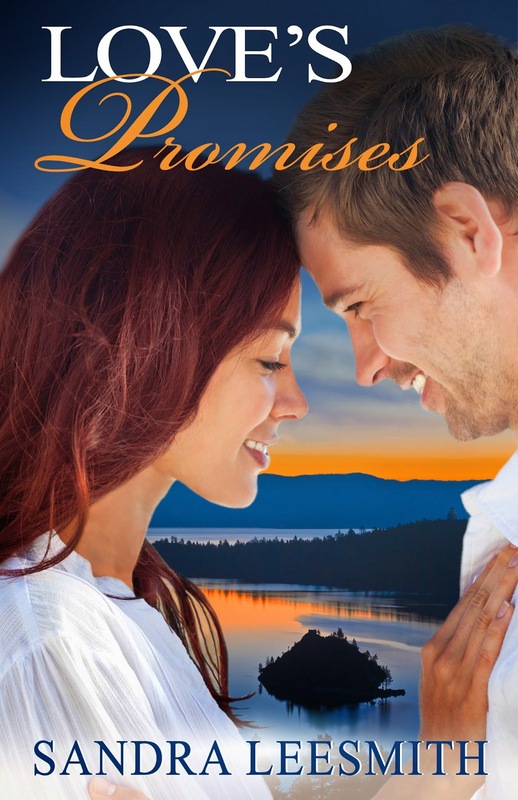 On Monday, we learned about Sandra's love for Lake Tahoe at The Wonderings of One Person, and we found out why Love's Promises is Meagan's favorite Sandra Leesmith book at The Curried Nut. On Tuesday, we explored the environmental theme of the book at Jorie Loves a Story; we heard Julie's thoughts on the relationships in the book at My Favorite Pastime; we had a special Tuesday Tea celebration at Sherida Stewart; and we learned why Kav thinks it's a "gripping read" at Best Reads (2010-2014). On Wednesday, we discovered what Ann Lee Miller enjoyed about the book at Ann's Two Cents; read why Alyssa considered it to be a good read at Literary and Lace; and enjoyed a book spotlight at Bluerose's Heart. On Thursday, we chatted with the hero (Greg) at Reviews by Molly and with the heroine (Monica) at i blog 4 books. And today, there's an interview at Fictionally, a review at Black 'n Gold Girl's Book Spot, and another review at To Be A Person! Winner will be announced next Friday (May 2nd)! Off to Lake Tahoe for the Love's Promises Tour! *Giveaway winner will be announced one week after the conclusion, in order to give readers more time to submit their entries. You can find direct links to all the tour stops (once they're live), as well as a tour button (if you want to share about all the fun you're having! ), on the blog tour page. Please contact your tour guide, Amber Stokes, at amberstokes@editingthroughtheseasons.com if you have any questions about this virtual trip. Enjoy the tour! This Easter will be different... Not away at college, and not with every member of my immediate family present as before. But the hope of eternal life is a comfort, and we plan to still gather together for a day of happy family celebration. Happy Easter to you and yours, dear friends! Congratulations to the both of you! I've sent you an email, and you have until next Wednesday to respond before another winner is drawn. 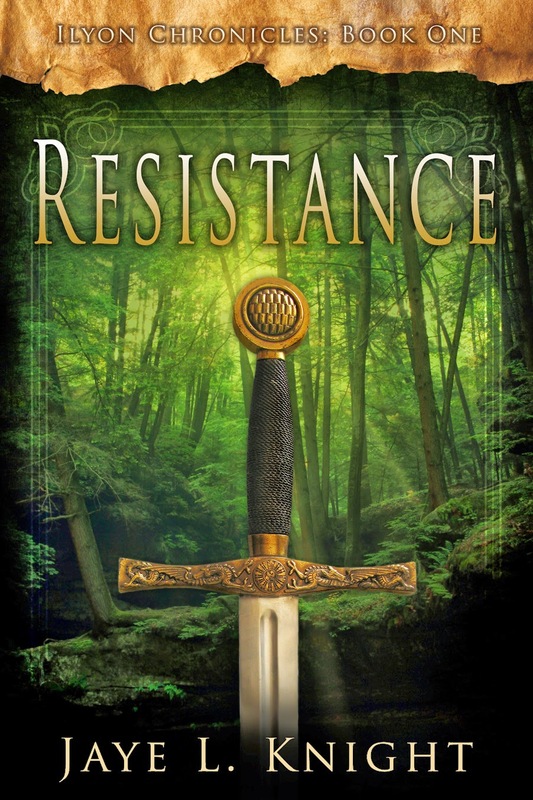 Also, plans are coming together for the Resistance blog tour, headed your way May 20-27! You can check out the tentative schedule (subject to tweaking) and grab a button on the blog tour page. For those of you who are signed up for the tour, I'll be in contact shortly with more information! When Grace Thorson contacted me about this blog tour, I really wanted to take part - not just because Grace has been so kind in participating in the blog tours I run via Editing Through the Seasons (which she has! ), but also because I've recently been given a greater glimpse at the sacrifices of caregivers. My grandpa is currently living in a local care/retirement home. Over these past few months I've had the opportunity to get to know some of the people who work there, and they're often friendly, kind, and considerate - even when they're stressed, elbow-deep in dishes with people needing their attention, assisting the residents to and from the bathroom, cleaning up messes, and addressing a variety of issues and day-to-day tasks. I greatly admire their fortitude in a job that's all about helping people who no longer have the ability to help themselves, at least in certain ways. While I confess to being a little hesitant at first (and sometimes still! ), I've become more and more comfortable at the home. One resident always has to shake hands when we come in. Another loves to give hugs and can proclaim any day her birthday. :) Yet another once told me about his time going through the Panama Canal back when he was in the military. These are my grandpa's new housemates, and it makes me happy that my grandpa's presence there is what gave my mom and I the chance to meet them. So I'm grateful for the caregivers who provide this home for my grandpa and the other sweet residents - a place where we can stop by any time, pick my grandpa up for a special occasion, visit with my grandpa in his room, or join him and the gang at the table while they eat dinner or enjoy some ice cream! If you're a caregiver or know of someone who is, read on to learn more about a book meant to encourage you. You're appreciated and loved! No place is so dark, no shadow so deep, that God can't find us. Nurse and veteran caregiver Pam Thorson offers weary families hope and insights gained from her own struggles. 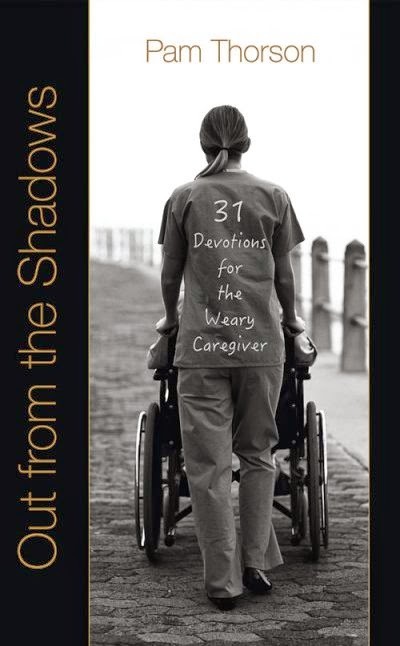 Out from the Shadows is a collection of thirty-one stories that pull back the veil on the unique joys and challenges of caregiving. Each devotion draws from the author's own experiences to reveal a fresh understanding of Jesus' call upon our lives as we care for others. Click HERE to check out the blog tour itinerary! Sometimes it's nice to just have a little something to read - a little story to make you smile or intrigue you. I indulged in a couple of shorter reads in the last few days (and yes, I confess, I bought one this weekend for $.99...). Here are my thoughts! 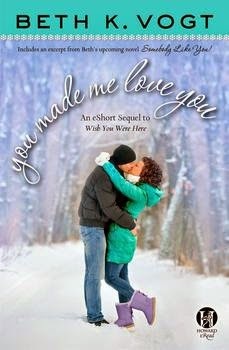 I loved Wish You Were Here, so the fact that this is a fun little sequel with a truly adorable cover made this a must-read for me! While not as deep as its novel-length predecessor, and while the heroine (Meghan) sometimes came across as abrasive rather than cute in her teasing, I still really enjoyed this sweet read about clashing personalities, staying true to yourself, and standing strong in humility in the midst of awkward circumstances. The ice cream scenes were great, and I loved Seth's character growth (and the way a certain someone made him fall in love!). All in all, a great follow-up to a wonderful book! Martin intrigued me with her early-2014 release, The Afterlife of Lizzie Monroe, so I've been curious to read more of her work. Out of the Blue is another creative story (novella-length) with a great hero POV. This is just "the beginning," which means readers will have to wait a while for "the middle" and "the end." Even still, I found this to be an easy read with fun nods to BBC's Sherlock. I liked the mystery, despite a few points where the elements didn't seem to mesh perfectly. There are darker tones - and there's certainly a strong suggestion that darker revelations are to come. Yet it's a clean NA (new adult) read that presents an interesting (albeit not yet fully explained) premise in an engaging, small college-town setting. This cover sets me up for something legendary. 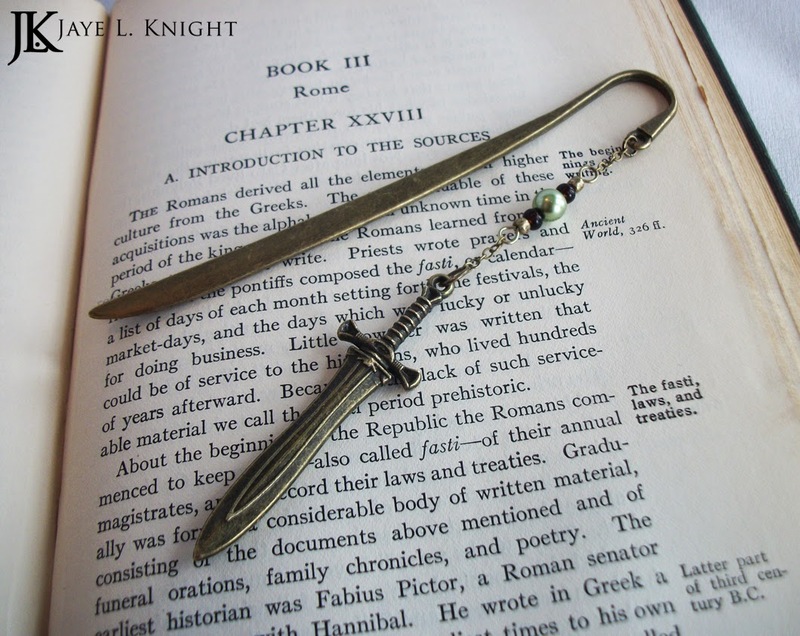 From the torn scroll border at the top, to the light shining down on the beautifully detailed sword waiting to be pulled from its resting place by its rightful master, the cover quietly but emphatically states that an adventure awaits. The important details are clear: the series name (showing that this is only the beginning), the title in tall caps, and the author's very fitting pseudonym boldly standing out in the darkness. My favorite aspect, though? That would be the gorgeous background. It brings to mind childhood stories and imaginative games in the woods. It's both ominous in what's hidden and optimistic with the brilliant green and the shining light. I want to walk right into those woods and discover their secrets! 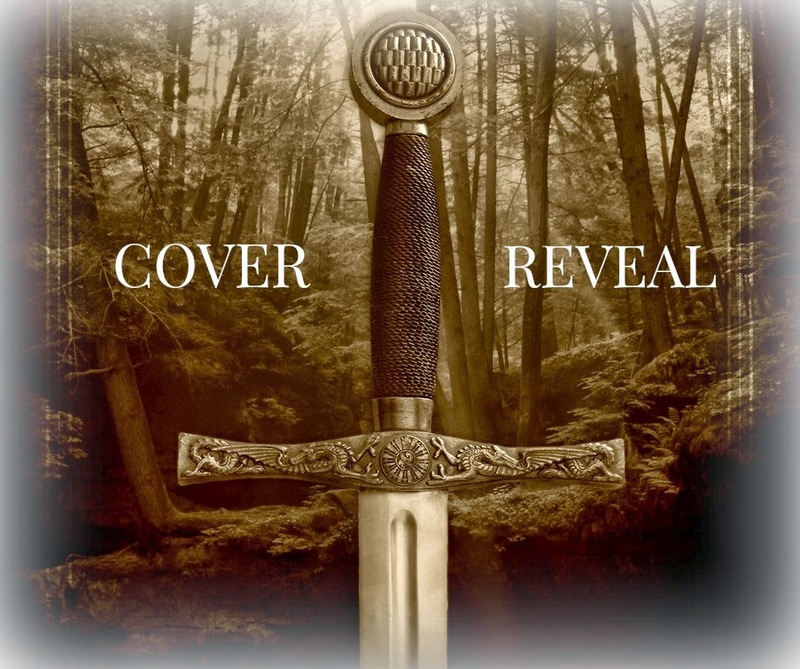 Want to hear what other bloggers think about the cover, or read an excerpt from the book? Be sure to visit all these awesome blogs today! What are your thoughts on the cover? You can learn more about this upcoming book series at www.ilyonchronicles.com! Convinced that Tamsen has been kidnapped, wealthy suitor Ambrose Kincaid follows after her, in company with her equally determined stepfather. With trouble in pursuit, Tamsen and Jesse find themselves thrust into the conflict of a divided community of Overmountain settlers. The State of Franklin has been declared, but many remain loyal to North Carolina. With one life left behind and chaos on the horizon, Tamsen struggles to adapt to a life for which she was never prepared. But could this challenging frontier life be what her soul has longed for, what God has been leading her toward? As pursuit draws ever nearer, will her faith see her through the greatest danger of all—loving a man who has risked everything for her?" 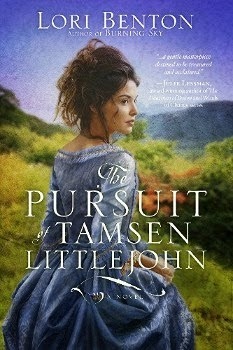 The Pursuit of Tamsen Littlejohn is the epitome of what I long for in historical romance - fascinating characters, a fast pace, high tension, intriguing historical details (not overdone), gorgeous and sweeping imagery, engaging and excellent writing, points to ponder, and (of course!) a tender romance. The story is as soft, mysterious, and grand as the cover claims it to be, and I couldn't have been more thrilled with that discovery! With most historical fiction, there's always the concern that the plot will drag, weighed down by details or less engaging, day-to-day scenes. But Benton's sophomore novel is full of movement, unanswered questions, and suspense to carry the story forward. This led to some late nights for me, as the book contains a delicious balance of literary loveliness and action that guarantees a longer but exciting sojourn on the frontier. And there's enough obvious depth in the first read-through of the story and a perusal of the discussion questions to suggest that subsequent reads could reveal further enchanting elements of the adventure. I really appreciated the portrayal of the various people groups - from the settlers caught up in the drama of the State of Franklin to the Native Americans as both brutal warriors and beloved friends and family. Each character is complex; each character arc captures the imagination. My one (very slight) disappointment was that I wished for a little more emphasis on the romance at the end - just another more personal scene to touch on all that the hero and heroine went through together. But not to worry! The romance is a very prominent, surprising, and wonderful part of the story, and I loved it. The hero's patience, devotion, and care completely won me over, and the conclusion of his and Tamsen's story is poignant and hopeful. Fans of historical romance like Laura Frantz's Courting Morrow Little and Catherine Richmond's Spring for Susannah will adore The Pursuit of Tamsen Littlejohn - a story that delivers in both meat and treat, quality and enjoyment. Note: The Pursuit of Tamsen Littlejohn releases April 15, 2014. "Sixteen-year-old Holly wants to remember her Grandpa forever, but she'd rather forget what he left her in his will: his wedding chapel on the Las Vegas strip. Whatever happened to gold watches, savings bonds, or some normal inheritance? Holly's chapel represents everything she’s ever loved in her past. Dax might be everything she could ever love in the future. But as for right now, there's a wedding chapel to save." 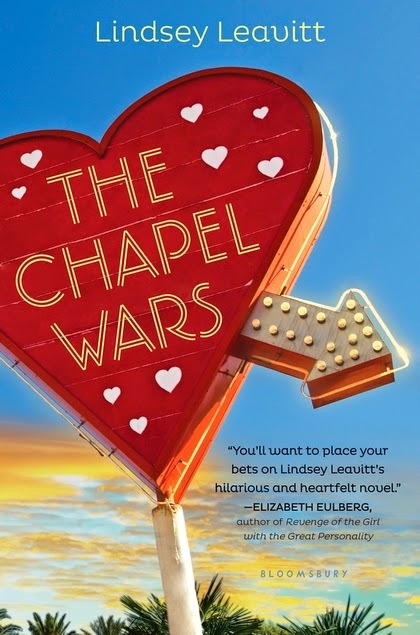 With such a whimsical cover and interesting premise, The Chapel Wars promised to be a fun read. And it was in certain aspects - but it also went deeper, touching on grief, the effects of divorce, shattered illusions, and financial responsibilities. I really appreciated some of the ways Leavitt addressed these issues. Others didn't entirely win me over. Surprisingly, Holly's younger brother stole the show for me. It wasn't because I overly liked his character or because I approved of everything he did. But he felt "real" to me - an honest mix of angst, confusion, and warring longings to be an independent "man" and yet to see his family heal and succeed. His presence in the story really highlights the importance of family. I also enjoyed experiencing some of the local haunts in Las Vegas. The critiques and love for the city blended nicely, and it proved to be a very intriguing backdrop for young love. That young love didn't exactly work for me. The make-out sessions were a little more than I wanted to know (nothing explicit - I was just sad that they got physical so quickly, and that the physical connection was used as a distraction from other relationships issues). I also hated the ways Dax let Holly down, and the fact that there wasn't more fallout for his choices (despite the sad reasons for him making them). 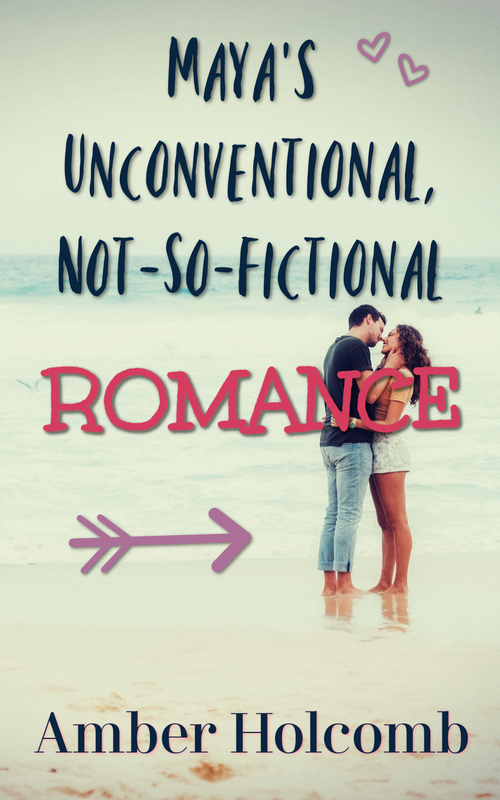 Basically, the romantic relationships often came across as immature, and I guess I just had hoped for something different, despite the YA level (or maybe because of it). As for other issues... Sometimes it took more thought and work to figure out who was speaking than I would have preferred, but I'm not sure if that was an attribution issue or due more to the formatting of the e-ARC I read - or perhaps a combination of the two. And the overall tone of the book rubbed me wrong. There were moments of hope, for sure, but the ambiguity of faith and the constant uncertainty of purpose left me feeling...bummed, I guess. I really wanted to see the heroine stand up for the things she believed in - the things her grandpa had stood for - but I felt like there was way too much compromise. It wasn't necessarily because of Holly's marketing/business strategies, but more because she was willing to go certain directions only because she thought it would help them make money, not because she really believed they would be beneficial for all involved. Maybe that sounds conceited and unrealistic of me to be against that. But the general attitude and the throwing out of "ethics" (to some degree) didn't impress me. Plus, the view of rushing customers to the altar bothered me. Leavitt's writing style is engaging, her imagery vivid, and her premise both touching and clever. I just don't think The Chapel Wars was the right book for me, especially since I lost respect for some of the characters, which made it hard for me to care for them as much as I should. If you like the magic of Las Vegas and YA romances that deal with grief, though, you might want to give this one a try. Note: The Chapel Wars releases May 6, 2014. Happy Sunday, everyone! Let's start this "winning" post with a winners announcement. :) For my 4th blogoversary, I gave away a signed paperback copy of Forget Me Not and an e-copy of one of my books. 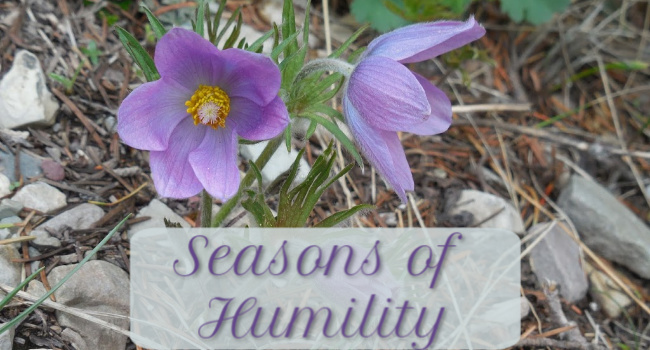 Thank you all so much for your interest in "The Heart's Spring" series, and for your support of "Seasons of Humility" these past four years! I'm so blessed to have the chance to share with you, interact with you, and become friends with you. I've absolutely loved my blogging experience so far, despite the time commitment. I mean, what did I even do with myself before blogging?? LOL. Thank you for joining me on this journey and for making it such a wonderful one for me! 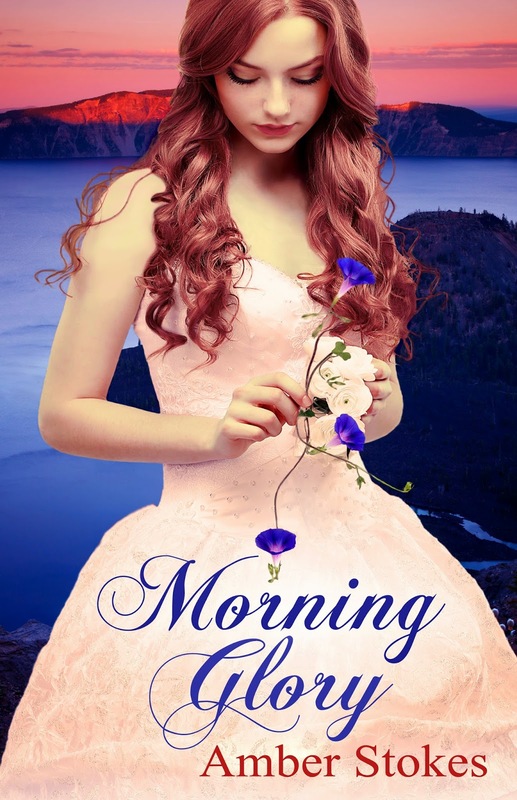 Now, some of you follow me on The Heart's Spring series blog, so please forgive the repetitiveness - but I wanted to share with all my readers here about my progress with Morning Glory. It's been a bit of slow going, and March wasn't as productive as I wanted it to be. But I've signed up for Camp NaNoWriMo for this month, and I'm hoping I can finish the first draft of the book - or at least make a very sizable dent in my goal! - by the end of April. You can check out my camper profile HERE. (Camp NaNoWriMo totally brings back happy memories of Camp Humility! Any long-time followers remember that event??) Anyway, if you check out my profile and click on the tab "Novel Info," you can read my working synopsis for Morning Glory, as well as a brief, unedited excerpt from Chapter 1! Felicity Lute's family is on the run from scandal and sorrow, but their "vacation" isn't bringing Felicity and her sister, Helen, together the way it should. Hope - or at least distraction - comes in the form of Myghal Tamblyn, a Cornish man wandering the West. 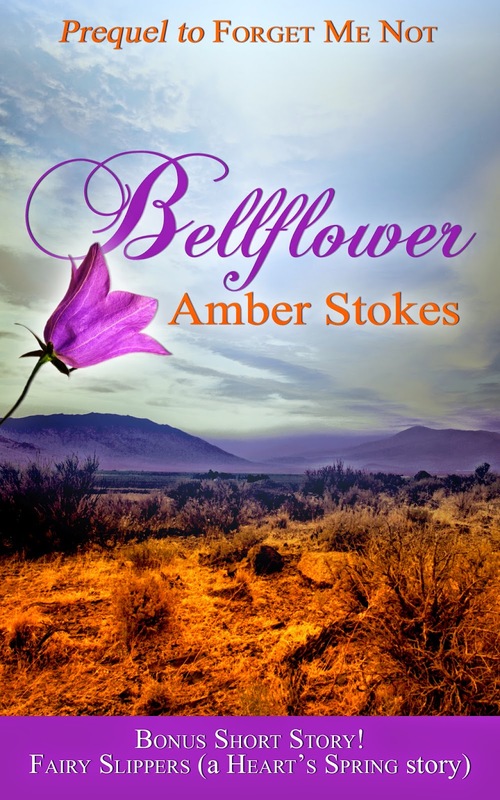 When he joins them on their journey to Crater Lake, Felicity begins to believe her heart and her dreams will heal. Just as long as she and her two sisters can keep their secrets hidden. Myghal has fallen in love - and been forced to let go of love - twice. He's intrigued by the flirtatious and flamboyant Felicity, but he's also wary of the obvious tension in her family, despite their welcome. An adventure with new friends might be just what his lonely heart needs, or it could be the path to a third and final heartbreak. When tragedy plunges Felicity and Myghal into the very depths of their fears, will they find anything strong enough to help them rise again? It's not necessarily the final version, but what do you think? Does it make you want to read the book? I currently have a third POV in play for the story (beyond Myghal and Felicity). Not sure yet if I should tweak the synopsis to mention more about her - guess that will be a question to run by my editor(s)! She's going to play a very pivotal role, from what I can tell so far. I've been doing a lot of my brainstorming for the story on Pinterest. It's been very fun to have ideas sort of leapfrog one another as I find new visuals to inspire me. I just hope it all makes sense when it comes together! And speaking of secrets and Pinterest... You might have already come across these boards or overheard me chatting about "genre hopping" on Twitter, but if you want to catch a little glimpse at what I'm brainstorming for books to work on after Morning Glory, check out Secret Future Writing Project and Secret Future Writing Project 2. I'm not really sure why I'm attempting any secrecy, LOL. The title for the first one is pretty set, and Lena's actually already designed the first cover. But I guess since I haven't written the stories yet, I kind of want to wait until the right moment to share more. ;) I will tell you that I'm contemplating trying something more contemporary. We'll see how it goes! Be on the lookout in the coming months for title announcements and cover reveals, Lord willing. "I make you no promises, I tell you no lies" - but I am very excited about these projects, so I hope to pursue them! Anyone else participating in Camp NaNo or working on writing projects? Let's go for the win and get some stories on paper! It's an exciting time to see a friend's book baby being introduced to the world! Miranda Uyeh has been a dear blogging friend of mine for quite a while now - she shares very thoughtful and insightful reviews and posts over on her blog, To Be A Person. Her debut is special for several other reasons: I had the pleasure of editing it last fall; my proofreader and freelance buddy, Rachelle Rea, proofread the book this spring; and Lena - whose cover designs we all know and love - designed the stunning cover. Let's just pause and talk about this cover for a moment. The endorsement is very fitting for the story. Yep, mystery, intrigue, and romance abound! The model is a great match for the heroine, Jennifer: sophisticated, stubborn, lovely, wounded, and headstrong. And that expression - so intense. The roses! They play a prevalent role and serve as a strong symbol in the story, so of course they needed to be on the cover. So perfect that the one by the title appears almost dead in spots, and yet looks like it's about to bloom. This cover is a bit more "glamorous" than you generally see with inspirational romance books, but I think it works well with the tone and unique elements of the story. What are your thoughts? … an inspirational romance, from Lagos to Italy." 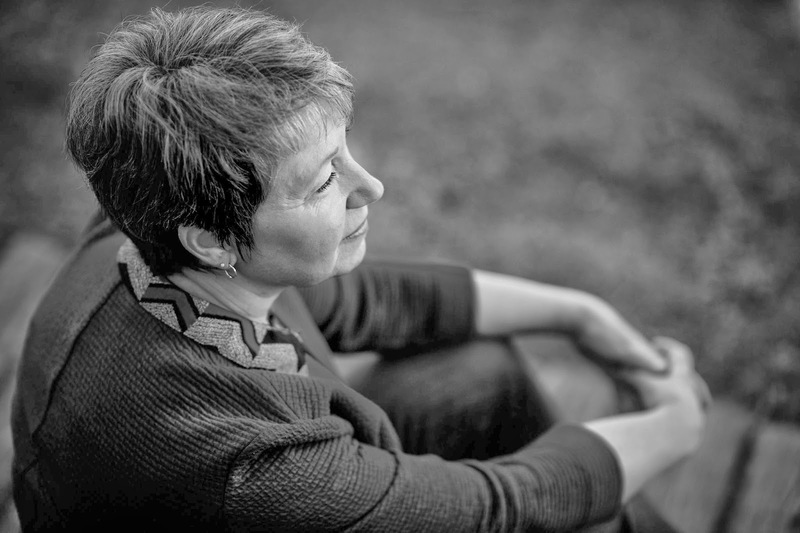 "Miranda Uyeh has penned a novel full of heart. 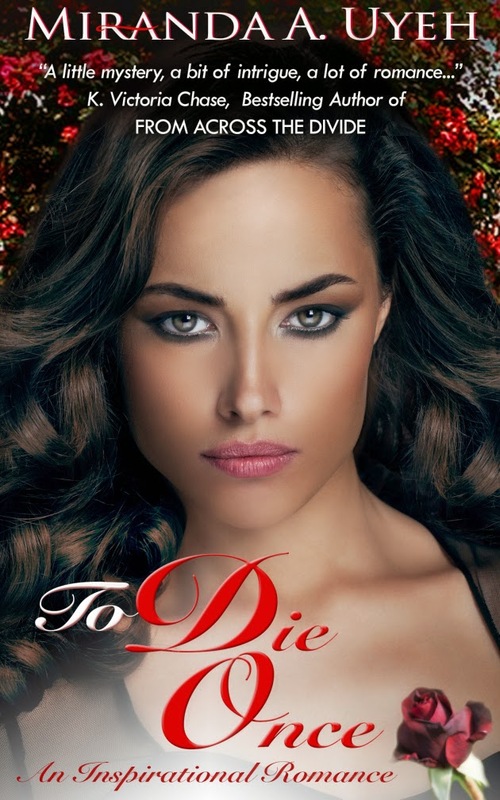 To Die Once is a story alternately thorny and tender that tackles the various forms of love - romance, friendship, and faith - in unique settings and situations. Often surprising, consistently intriguing, Uyeh's debut is a bold start to her blossoming writing career." It was a pleasure to be one of the editors of this book and to get an early glimpse at such a complex and touching read! The book blurb didn't quite prepare me for the scope of the story - the diverse locations, the intense and surprising twists and turns, and the vast emotional landscapes. Miranda holds nothing back with her debut, blending her own personal touch with the writing lessons she's picked up on her reading journey. Will you be signing up for the blog tour or purchasing the book when it becomes available? Which intrigues you the most - the cover, the blurb, or the endorsements? I received such a sweet package from my cover designer yesterday! I was one of the editors for both Haunting Joy and Take a Picture, and Lena was kind enough to send me my own (signed!) paperback copy of each. Take a look at the cuteness! They're both so small and sweet (you know the best things come in small packages, right?). Take a Picture is practically pocket-sized (well, if you have a big jacket pocket...but still!). The colors! So bright and pretty and fun. The interior formatting is whimsical and awesome. Hope you all don't mind the gushing. ;) I'm so privileged to work with Lena. As a huge fan of her work, I have the fun job of reading Lena's books early and editing them - then promoting them to all y'all, which is really not that hard to do! And then I get to work with her on my own gorgeous covers and formatting. It's seriously like the win-win scenario of the century, LOL. 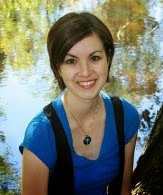 You can learn more about Lena's books and cover designs at www.LenaGoldfinch.blogspot.com. Tell me, have you received any fun book mail lately? Let the gushing continue!